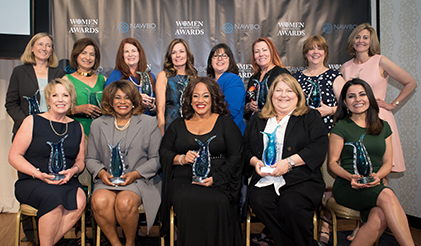 NAWBO Southern Nevada has hosted the Women of Distinction Awards since 1998 to celebrate the accomplishments of women. We commemorate the achievements of all our nominees at this event. The program highlights women whose excellence and dedication sets them apart in their fields and inspires success. Women are recognized in the following categories: Rising Star, Glass Ceiling, Entrepreneur of the Year, Arts/Entertainment/Media, Business/Retail/Manufacturing, Corporate/Government Services, Education, Gaming/Hospitality/Convention Services, Medical/Healthcare Services, Philanthropy/Community Service, Professional Services/Public Relations, Real Estate/Construction, and STEM.